There are some patterns that you go back to over and over again, that fit you like a comfortable sweater or your favorite slippers. They're familiar and lovely, and you know they're going to be just what you need. 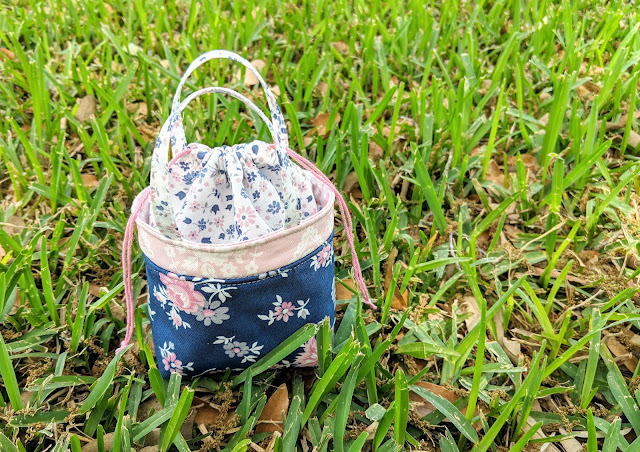 The Lunch Bag Tutorial by my friend Ayumi is one of those patterns for me. I don't know how many times I've sewn this one, but it never fails to be a joy. 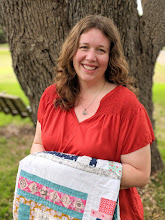 This time I thought it would be fun to do something crazy and shrink it down to half size for a mini gift bag using the Majestic collection by Gerri Robinson for Riley Blake Designs. The footprint of this finished bag is only 2 1/2" x 3 1/2" -- such a sweet little size! 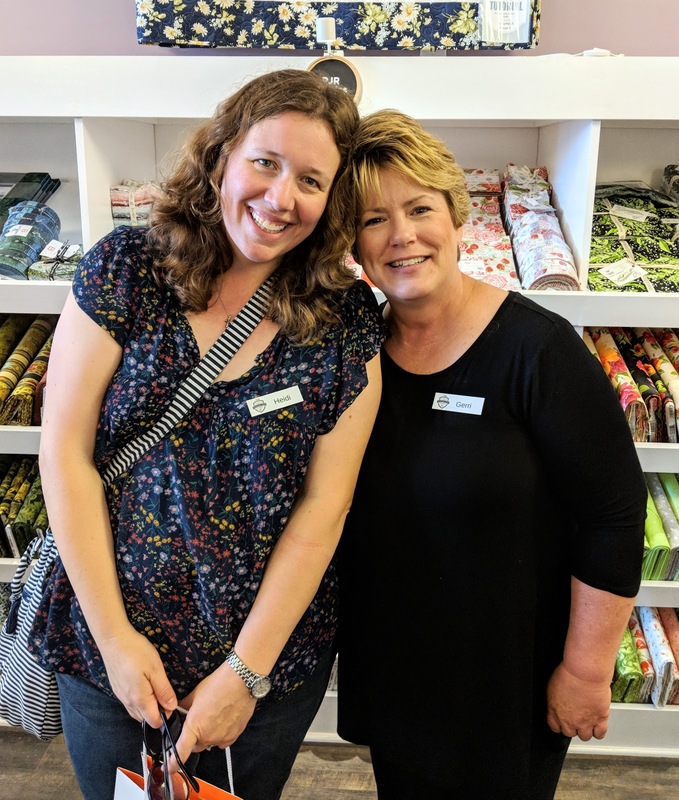 I met Gerri for the first time last June when she was kind enough to drive me all over Missouri while we were both teaching at Missouri Star Academy. 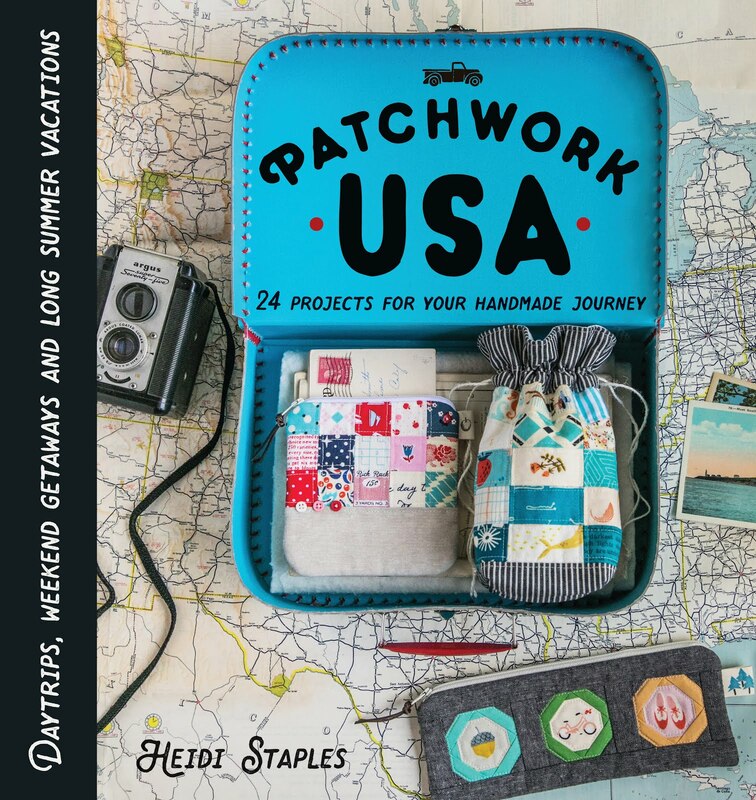 She and I spent hours together that week chatting about everything under the sun -- fabric design, the quilting industry, our families. I loved every minute of it. Watching her teach was an education in itself for me. She is an incredibly talented and generous lady, and I admire her so much. I chose just three prints from the Majestic collection for this project in a range of scales. The smallest scale white floral was especially perfect for a tiny bag like this one. 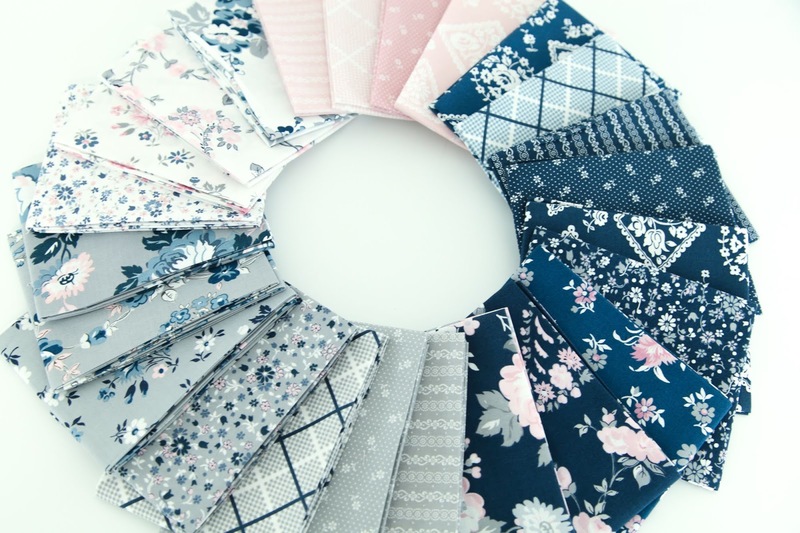 These prints all work together so beautifully, don't they? 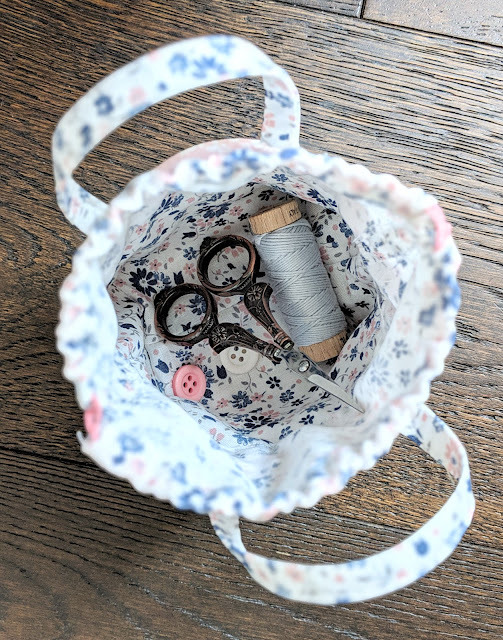 Whenever you shrink a pattern -- especially for a bag or basket -- there are positives and negatives. Smaller pieces make a much quicker sew, but the logistics can definitely be more difficult as you try to navigate your needle with a more narrow bag opening. The drawstring casing was a bit fiddly, but with some patience and care, I was able to get it right. 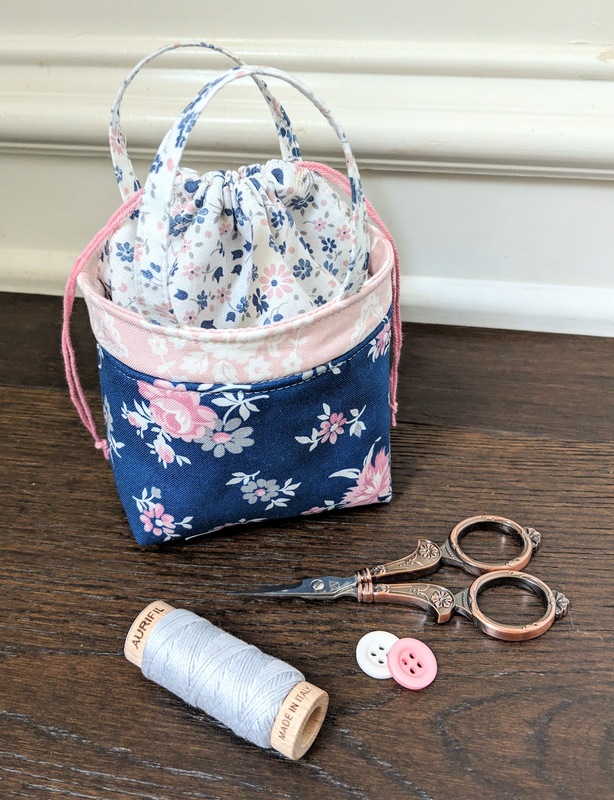 It took me a while to decide what to use for the drawstring itself until I remembered my box of chunky thread by Lori Holt. This pink was a great match and just the right weight to fit easily in the casing. It's always hard to hit a speed bump when you're almost about to finish a project, so I was awfully glad to have that thread on hand! 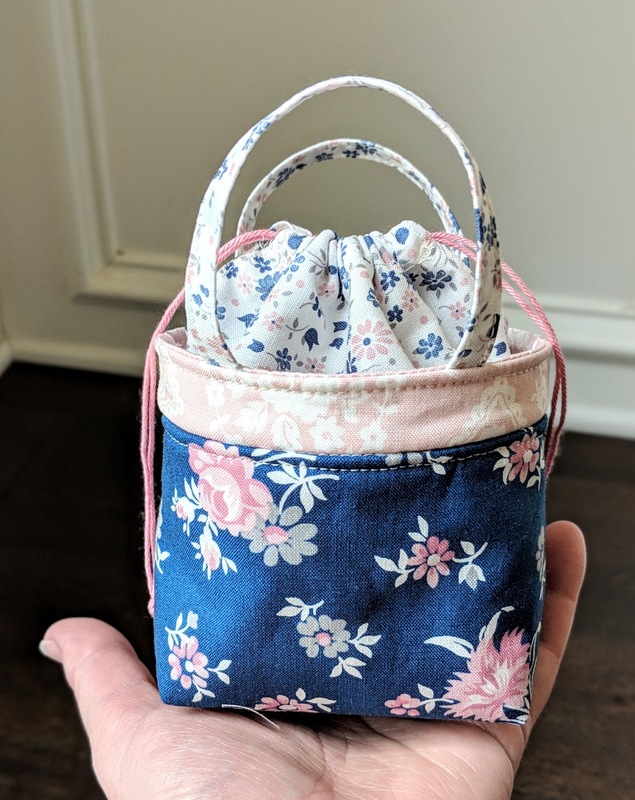 Now that I'm looking at this little bag, I'm thinking that it would make a darling mini Easter gift basket. Just toss in some candy and other small goodies, and you're all set.